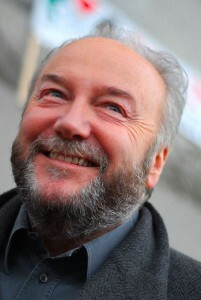 George Galloway at a Stop the War event, February 2007. George Galloway, a former British MP, has proposed a blockchain-based public expenditure management system called the MayorsChain as part of his bid to become mayor of London, England in 2016. 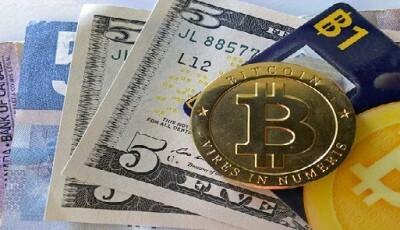 In an interview published this week with the Felix Online, the student paper at Imperial College London, Galloway described the proposal, saying if elected, he would put London’s entire £17 billion budget online in real time on a blockchain that would allow the public to see what is being transferred in and out, and where funds are going. Using a blockchain to account for government budgetary allocations and spending would give the public the opportunity to know exactly how funds are being used and in real time, stated a MayorsChain press release issued July 1. “We envision a future in which this model of transparent, unbreakable and verifiable contribution to the City Government, in combination with continuous participation of the crowd through active voting, is utilized to manage budgets that are public to be audited collaboratively by its citizens, who share the benefits and responsibilities collectively. We are calling this model, decentralized City governance by blockchain,” said Galloway in the press release. The release noted that the decentralized nature of blockchains enables direct public participation in budgetary decisions more extensively and more secure than ever. Just as payments can be tracked securely and without needing to trust that no one has tampered with the data, the public may vote for proposals without needing to trust that the vote is fair. Moreover, following public discussion, anyone can present a proposal and hold a public vote on it, with the results preserved in a blockchain in secure and permanent manner for everyone to see. Galloway is leveraging the technology features and expertise of Horizon – a Bitcoin 2.0 platform – and the Blocknet – known as the “internet of blockchains” – to gain knowledge of cryptography. In addition, Max Keiser, co-host of the financial news show the Keiser Show, is a candidate to become Galloway’s economic advisor. Keiser’s cryptographic fundraising system StartJOIN hosted a crowdfunding campaign for MayorsChain, which raised £848 by its closing date of July 17. The MayorsChain website includes a white paper published this month that offers an argument for the “epoch-changing” significance of blockchain technology to governance, identifies some challenges to the technology’s application to governance, and explores the groundwork laid for a blockchain-based governance implementation. The paper suggests that optimizing governance in a radical way, in which new production methods are enabled, is a matter of eliminating alienation, which significantly advances productive forces that affect governance ubiquitously as well as maximize the power of any merely contingent active forces. 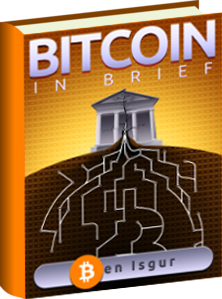 The white paper acknowledges this is a daunting endeavor and a major technological challenge, even without accounting for countless lower-tier issues that would be encountered, including achieving group coordination and collective decision-making across entire populations, and in a manner that is at least similarly efficient to bureaucracy. Still, the paper argues that blockchains do achieve this. The trustless and decentralized properties of blockchains meet the alienation-minimization conditions outlined in the white paper, which states the public must completely determine the provision of public goods. For public responsibility, this is a matter of putting the decisions about how, when, who, why, and what goods are provided under public control, says the paper. To do so is to decentralize control, as it is put in the hands of everybody. Related to this is the need to provide verifiably correct or transparent information to remove the possibility of misinformation bypassing the taking of responsibility by tricking people to act against their own interests. As for public interest, the paper says, this is a matter of making it simple to access any information regarding goods-provision, and equally easy to play a role in determining the provision of public goods. There is also the matter of making information at hand verifiably correct, so that it would be impossible for whoever accesses it to have their interests hindered by doubts about the information’s veracity. “If being able to determine power over public goods is effectively a matter of complete transparency and decentralisation, then complete transparency and decentralisation reduce alienation, in principle, to zero,” says the white paper. The document states blockchains maximally reduce the alienation of the following ubiquitous productive forces in governance: public interest, rights, ownership and responsibility. It adds that such systems would also do the same for the contingently active productive forces of public interest and responsibility; in this instance, doing so would inhibit their actions minimally, allowing production involving these forces to operate with maximal efficiency.